Planning to open up a restaurant? One of the biggest investments of starting a restaurant is the kitchen. It’s like the heart and soul of any restaurant business. So investing in industrial grade kitchen equipment is a must to withstand a busy schedule. In terms of essential kitchen equipment and supplies, the list is definitely long; however, there are some supplies and tools that require careful planning to ensure their quality. When you shop for Singapore kitchen equipment supplies, you may want to start with the big ones first. Since these equipment and supplies are costly, you need to carefully check and scrutinise them before purchasing. 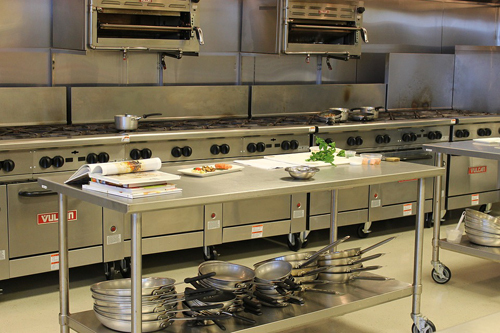 A kitchen range is needed if your operation involves preparing food over an open flame. It is considered as the powerhouse of the kitchen, so it is critical to select the one that meets your cooking needs. Range units come in two types: electric and gas. You need to decide which type matches your chef’s preference. 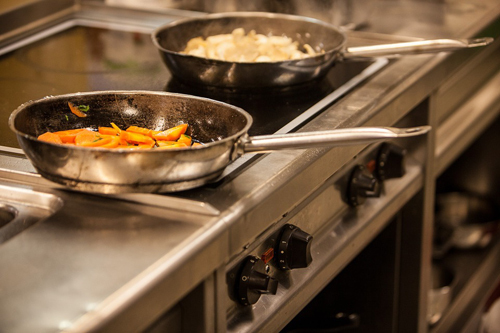 A gas range is ideal if you want to have a visual, responsive cooking experience. In addition, this type makes it easier to control heat and adjust from high to low settings faster than the electric ranges. Freezers and refrigerators are valuable equipment in any commercial kitchen. Refrigerating foods, such as meat, vegetables, dairy, and other perishable products, prevent them from spoiling quickly. It also helps preserve the freshness of the products and provides cold storage space. There are different types of freezers and coolers available in the market, so you need to decide what type you require in the kitchen. Always consider the size of the kitchen to help you decide. Smaller restaurants may require an average size of refrigerator and freezer. Some big restaurants have walk-in freezers where they store a large volume of food items. Today, most ranges available come outfitted with an oven. It makes a practical option since you will no longer need to buy a separate oven. But if you require a specialised type of oven for certain types of foods and dishes, you may purchase a separate oven in addition to your range. A convection oven features exhaust system and fan that blows hot air around the food. Use a regular oven if the food preparation requires light baking or if you only batters cakes, bread and custards. Regardless of the type of operation, it is critical to have appropriateventilation installed if you have an oven in the kitchen. Your chef won’t be able to start preparing food if there are no slicers in the kitchen. Slicers play a huge role in the general kitchen operation as they are tasked to cut meat, cheese, vegetables, and fruits with precision and speed. Before purchasing a slicer, be sure to consider how often your chef needs it. If your chef’s going to use it infrequently or on a low volume, you may want to consider getting a manual food slicer. It is a cost-efficient option. However, if the chef needs it to slice a large amount of foods with specific proportions, you should get an electric slicer. Kitchen counters are likewise essential in any kitchen. It is the area where the staff prepares the food and slices the ingredients. Kitchen furniture like preparation table, cutting spaces, and counters are just a few of the many areas needed to prepare food. For added durability, you may want to opt for stainless steel since it can resist corrosion and may last longer than other types. Check with your kitchen equipment suppliers in Singapore if they have the right counter sizes that match your preference.